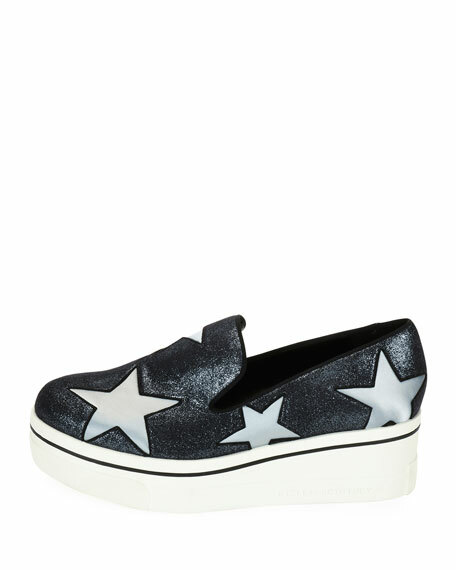 Stella McCartney glittered fabric loafer in star print. 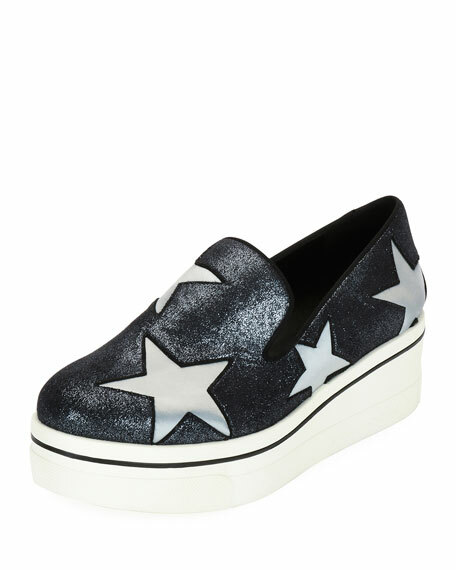 1.8" wedge heel with 0.6" platform; 1.2" equiv. "Binx" is made in Spain. For in-store inquiries, use sku #2163029.